A new map is coming for 1.8. It’s a kind of map that many have attempted and most have failed. 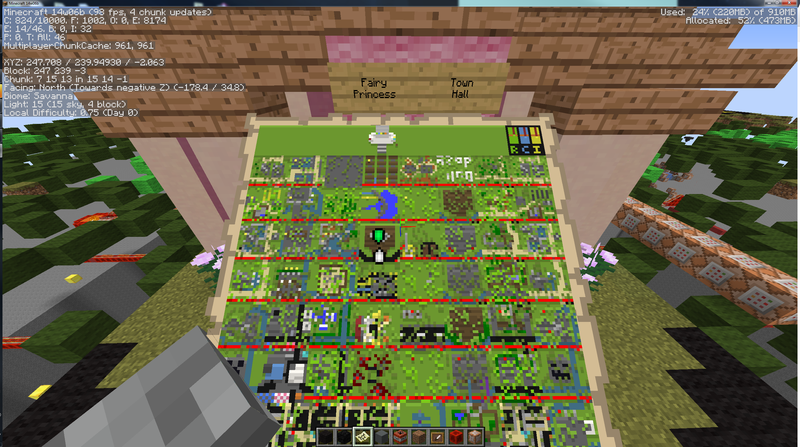 rsmalec and I devised a system that would work and this is the map we’ve been working on and actually have a functional version for 1.7… but 1.8 makes it so much easier. So after toiling away for quite some time I have almost upgraded most of the systems and it might actually run on peoples computers now. Since I’m tired of being cryptic I’ll lay it all out right here. It’s a Sim City type game with some very interesting systems in place… It’s going to be awesome. It also has some cool customisation options too. Wouldn’t be possible without @texelelf‘s filters and even Faume & Moesh have been able to join in on the fun with some of the builds.